A small yet vibrant community centre in the heart of Bradford, All Saints Landmark Centre offers a range of activities helping the people of Little Horton live Jesus’s vision of life in all its fullness. Drop in IT and job search support helping people over the ‘digital divide’, Mondays and Thursdays; as well as taught courses throughout the week developing aspiration and improving employability. Our Monday ‘Friendly Circle’ social group for over 50s. Green Light: Conversational English classes over a meal on Monday evenings for refugees and asylum seekers . Toddler groups on Tuesdays, Wednesdays and Thursdays; including soft play, parent/carer and toddlers, and speech and language development. Shine Together: a Saturday afternoon social group for young people with additional needs, providing essential respite to parents. 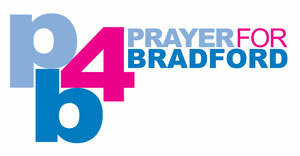 Please pray for: reliable funding to help us keep all these valuable groups running, and praise God for our incredible volunteers who let us do so much more.